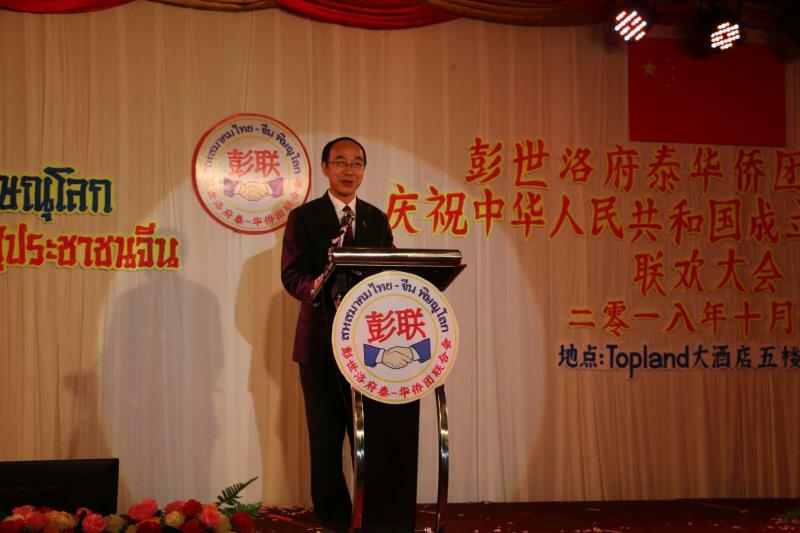 On October 1, 2018, the Phitsanulok Overseas Chinese Association held a reception to celebrate the 69th anniversary of the founding of the People's Republic of China. Consul General of China in Chiang Mai Mr. Ren Yisheng, Governor of Phitsanulok Mr. Phiphat, former commander of the 3rd Military Region of Thailand General Siri (Retired), Chairman of the Phitsanulok Overseas Chinese Association Mr.Prasert, together with more than 500 political dignitaries and overseas Chinese of Phitsanulok, Sukhothai as well as Chinese volunteer teachers attended the event. Consul General Ren, Governor Phiphat and Mr. Prasert delivered speeches respectively. 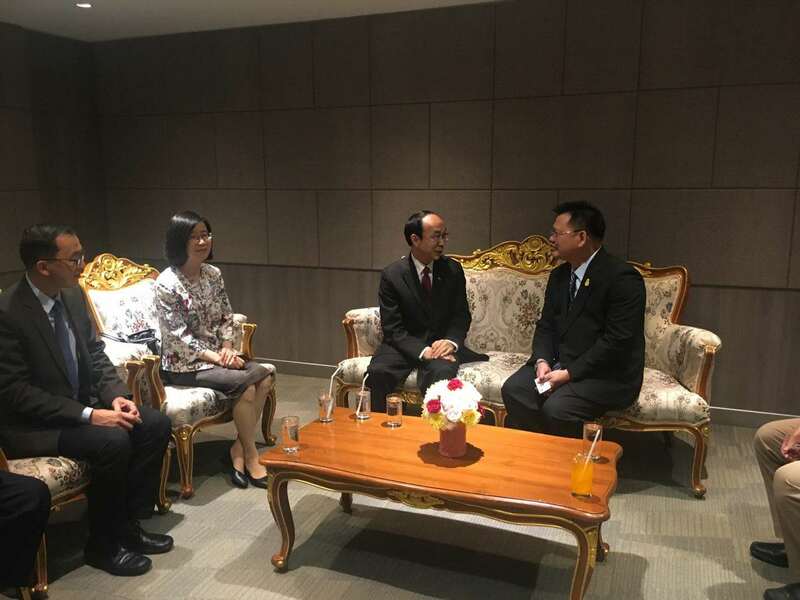 Consul General Ren Yisheng called on Governor Phiphat and congratulated him on assuming post as governor of Phisanulok.